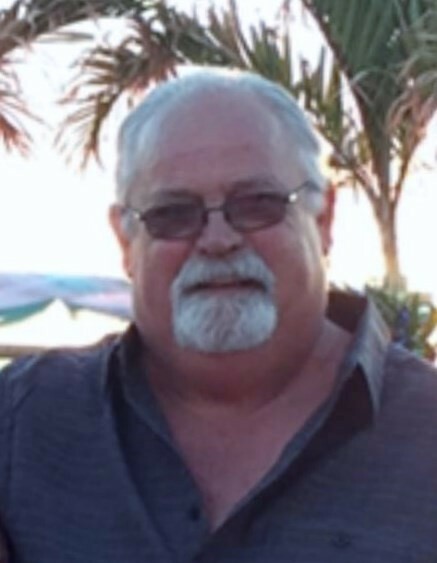 Michael F. Davis, 67, of Southington, passed away peacefully surrounded by his loving family on Wednesday, Nov. 28, 2018 at the HOCC at New Britain General. He had been the beloved husband of Shirley (Owen) Davis for 46 years. Born in Southington on April 11, 1951 to the late Raymond and Agnes (Wright) Davis, he had been a lifelong Southington resident. Mike founded Davis Trucking in 1988 and has worked alongside his son and best friend, Mike, for the last 30 years. He enjoyed motorcycle rides with his brothers, watching NASCAR and quality time with friends. Mike looked forward to spending winters with his wife in Bonita Springs, FL. He was affectionately known to his grandchildren as “Pop Pop.” He loved spending time with his family and will be deeply missed by all who loved him. In addition to his wife Shirley, Mike, a loving father, is survived by 5 children: Michael C. Davis and wife Toni of Southington, Kristen Guida and husband Jon of Southington; Marc Davis and wife Kimberly of Southington, Jonathan Davis and wife Ashley of Berlin and Jennifer Davis and fiancé Steven Albert of Bristol; 13 grandchildren: Trenton Davis; Derek, Jared, Kyleigh and Owen Guida; Alyssa, Marc and Madison Davis; Tyler, Grace and Hunter Davis and Sierra and Brayden Albert. He is also survived by a brother, James Davis and wife Maryann of Plainville and sister Lillian Mulvehill and husband Timothy of Watertown, two sisters-in-law, Linda Davis and Janice Davis, both of Southington and several nieces and nephews. He was predeceased by 2 brothers, Raymond and Donald Davis. In lieu of flowers, donations in Mike’s memory may be made to the American Cancer Society, P.O. Box 22478, Oklahoma City, OK 73123. Funeral services will be held at 9:00 a.m. on Monday, Dec. 3, 2018 from the Plantsville Funeral Home, 975 S. Main St., Plantsville with a 10:00 a.m. funeral service at the Plantsville Congregational Church, 109 Church St., Plantsville. Burial will follow in Oak Hill Cemetery, Southington. Calling hours will be held on Sunday, Dec. 2, 2018 from 2 – 6 p.m. at the Plantsville Funeral Home. For online condolences and directions, please visit www.plantsvillefuneralhome.com.